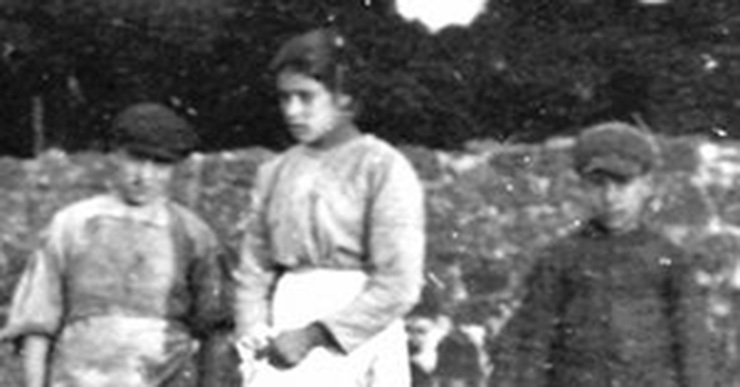 St. Maria Goretti inspires Catholics of all ages and states of life because of her heroic virtue, as she was willing to die rather than compromise her single-hearted fidelity to her Lord Jesus Christ. In navigating their hopes for Holy Matrimony, Catholic singles in particular could learn much from this adolescent saint. First, her radical childlikeness, her unwavering trust in God. Which can be challenging when you’re all grown up, living independently in the modern world and anticipating—presuming?—that God will fulfill your noble vocational desires (see Matt. 18:1-4). And why shouldn’t he, after all, when you’re zealously prepared to give the world a much-needed witness of chaste courtship and faithful marriage? In giving your all to God, however, submit even your tremendous desire to be married to God. St. Maria undoubtedly had great plans for her life on earth, perhaps even marriage and children. Yet, like St. Thomas More, she was “God’s first,” firmly convicted that God could and would fulfill her desires far more joyfully than any temporal vocational adventure. So . . . die to yourself and all of your hopes and dreams (Luke 9:23; Matt. 16:24-26). Instead of seeking first the right man or woman to complete you, with which there is nothing wrong if done with docility to the Lord, “seek first [God’s] kingdom and his righteousness, and all these things shall be yours as well” (Matthew 6:33). This means, fundamentally, making your relationship with Jesus and his Church your number-one priority in life, including a regular prayer daily regimen with which your good Catholic friends and parish pastor can offer assistance, as needed. Second, don’t compromise your virtue along the way. More than a few women, and sometimes it’s the guy too, have been told while dating or courting that if they want the relationship to continue—or have any real hope of marriage—they must, in a word, compromise their chastity. Any man unwilling to lay down his life for his wife as Christ did for his bride the Church (Eph. 5:25), is not ready for the solemn commitment of marriage. Don’t try to change him. Step away and wish him well. If he’s the one, he’ll repent and come around. If not, you’re better off without him. And if you’ve misstepped morally along the way, know that God is ready to absolve and renew you in his Sacrament of Reconciliation. Similarly, we should treat those whom we date or court in the way we would want our future spouse to be treated. If we try to apply to these lessons on our own, we will fail miserably. But if we seek to do so in the Lord, strengthened by his abiding Presence in the Eucharist, we can do all things in him (Phil. 4:13), perfect our weaknesses by his grace (2 Cor. 12:8-10), and—married or not—experience the incomparable peace that the world cannot give (John 14:27), the peace that is the only sure foundation on which any marriage decision should be made . . . and then lived.